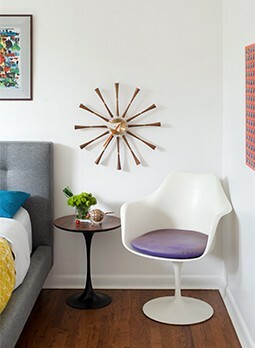 Two vintage Selig Z chairs and a curved, reupholstered sofa pair up with walnut Dillon armchairs and a period coffee table from Lawson Fenning; the white bench was from Simplaform, since closed. The homeowners believe the hardwood floors date from the ’80s. 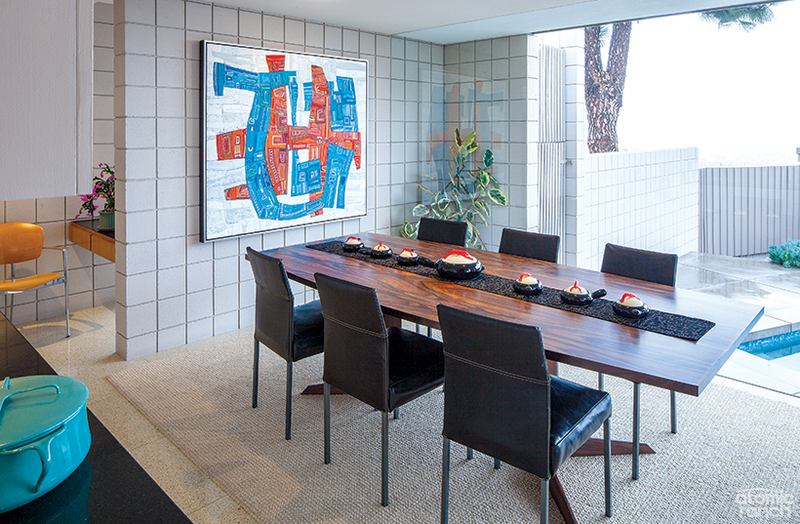 Langford painted ‘Atomic Klimt’ for the dining room expressly for the Atomic Ranch shoot. The rosewood table, Antica chairs and lobster ware bowls reflect the couple’s eclectic style and humor, while the Bisazza tile on the floor stands in for the original terrazzo once in this room. Previous owner Herschel Daugherty used the desk nook to make morning phone calls to the East Coast while he watched deer feed in the yard. The three-legged Andrea chair was designed by Josep Lluscà in 1990. 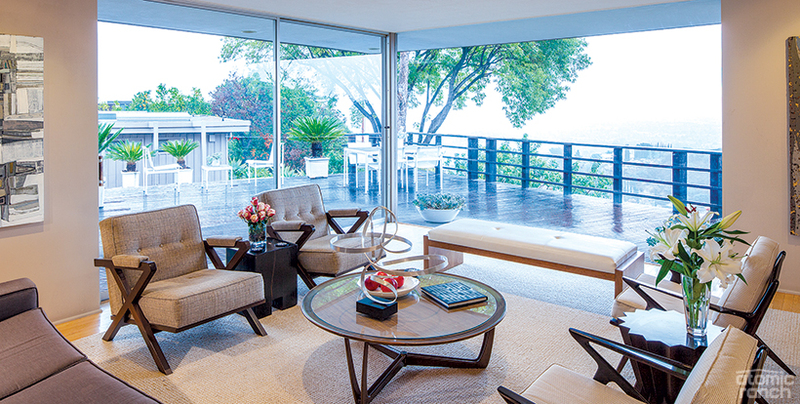 Of course, no LA modernist dream home would be complete without a credit roll of celebrity cameos—check back in for part 3 of this double feature to get the scoop!